Campello, A, & Dadush, D.N. (2017). 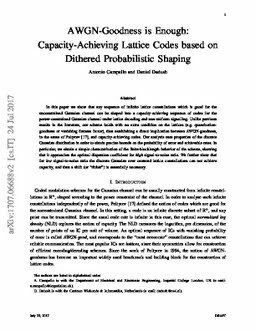 AWGN-Goodness is Enough: Capacity-Achieving Lattice Codes based on Dithered Probabilistic Shaping. arXiv.org e-Print archive.